A structure thought to be the world's oldest building, nearly twice the age of the great pyramids of Egypt, has been discovered. 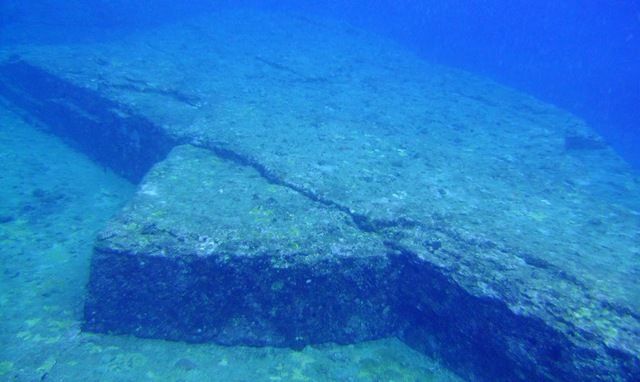 The rectangular stone ziggurat under the sea off the coast of Japan could be the first evidence of a previously unknown Stone Age civilization, say archeologists. The monument is 600ft wide and 90ft high and has been dated to at least 8000BC. 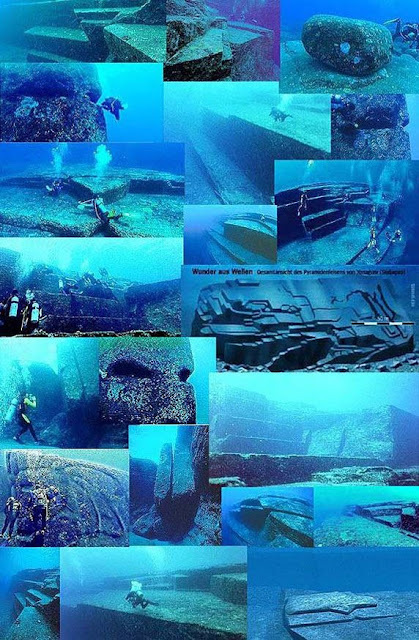 The oldest pyramid in Egypt, the Step Pyramid at Saqqara, was constructed more than 5,000 years later..
Yonaguni Island is located in western Japan. 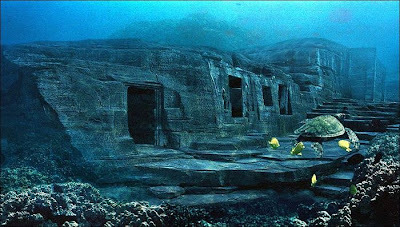 Yonaguni became famous in the mid 80-x, when divers discovered the mysterious underwater rock terraces and pyramids with sharp corners. Until now, there is debate, but nobody knows what secrets are fraught with the island. Scientists are inclined to believe that these pyramids were created artificially many years ago an unknown civilization that vanished from the face of the earth. 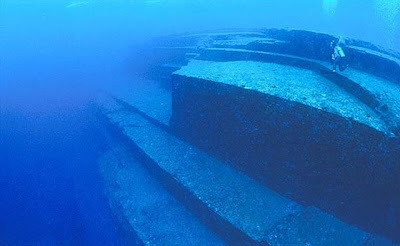 Mysterious Underwater Pyramids of Yonaguni Island off the coast of Japan is still controversial - a natural phenomenon that, or the creation of man? 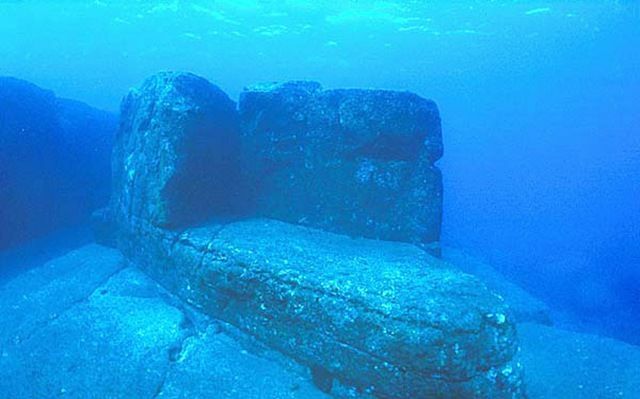 If the monument of Yonaguni is created by man - it will radically change the history of mankind. The history of these underwater pyramids begins in 1986 when divers found an unusual rock formation at a depth of 25 meters under water. It was a rock in the form of stepped terraces, flat, pyramids and platforms. One of the highest pyramid was 600 feet wide and 90 feet in height. On stone blocks were traces of handling and cutting, which confirms the theory of scientists that the Yonaguni Monument is not a natural formation, was created artificially.Masaki Kimura - marine geologist at the University of exploring the underwater pyramids in Japan for over 15 years. The scientist believes that this place more than five thousand years, but it was flooded 2000 years ago during an earthquake. Other scientists believe that this structure is much older, including Teruaki Ishii, a professor of geology at the University of Tokyo. He determined that dive under the water terraces occurred at the end of the last ice age - about 10 thousand years ago. 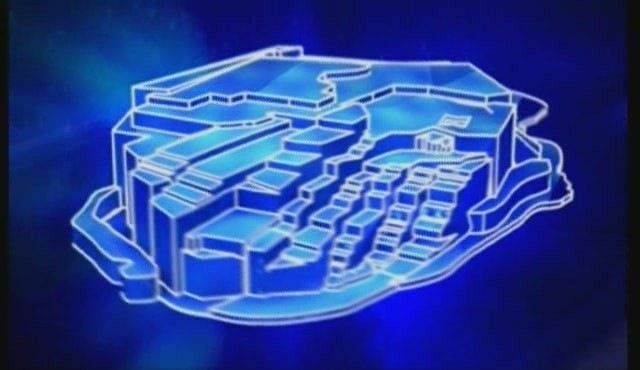 In this case, the age pyramid of Yonaguni twice as much as the Egyptian pyramids. 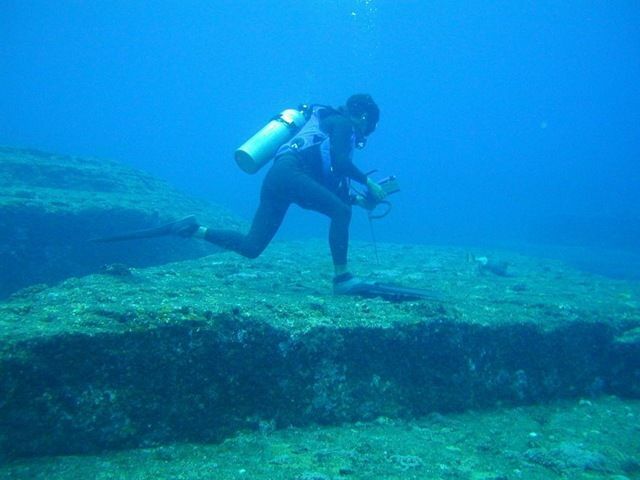 Interestingly, the number of artifacts found was about the same on land and under water. Not far from the pyramids was discovered carved stone human head, on which was engraved set of unknown characters. It is hard to imagine that this is a natural formation. "There is a land of gods, called the Ner-Kahn, the ancient gods live there - it's an unknown faraway place is a source of happiness to the world"
The opposite view is taken by Robert Shoch - Professor of Mathematics at Boston University. 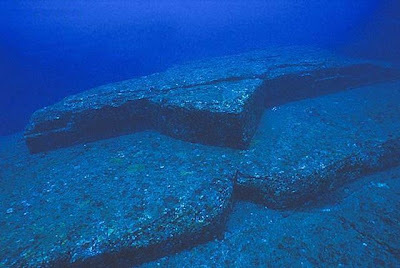 He believed that the Yonaguni pyramid formed naturally - so tried to nature.According to him - it is a natural tectonic activity, as exemplified by the picture below, where a similar formation on land, created by nature. It is also possible that the monument was formed naturally, but then was processed by people. Shoch such thinking before they met with Kimura. Kimura arguments more familiar with the peculiarities of the monument, have strongly influenced the opinion Shocha. Especially because the arguments were supported by photographs of details that Shoch at their dives just not seen as sinking a few times. For all the similarities of rocks Yonaguni, between them have very strong differences. 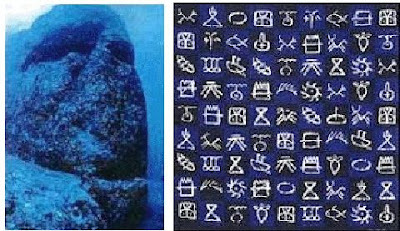 In a limited area of ​​the Monument right next to each other are the elements of a completely different type. For example, a face with sharp-edged, round holes, stepped descent, perfectly straight narrow trench. 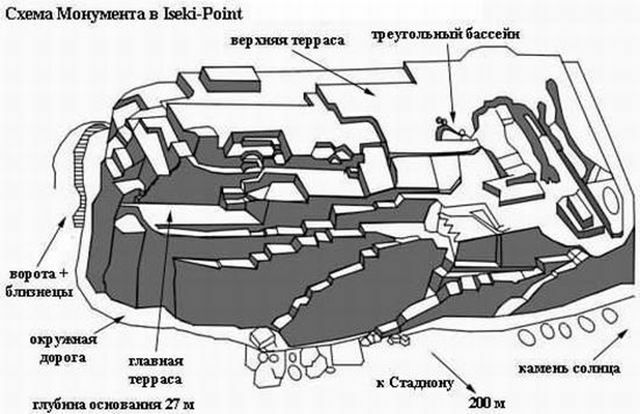 If the reason was only natural erosion, it was logical to expect similar forms throughout the piece of rock. The fact is that side by side are very different elements, is a strong argument in favor of their artificial origin. Here is an example of one of such entities under the Product Name turtle. The next argument: blocks, separated from the rock, does not lie there where they should fall under the influence of gravity. Instead, they are either collected in one place, or non-existent. If the object has been created by erosion, then at the bottom next to him would be a lot of debris, as the modern coast. And here it is not. 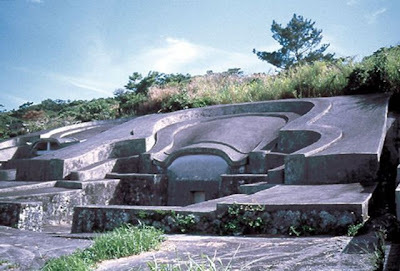 "After meeting with Professor Kimura - later wrote Shoch - I can not completely exclude the possibility that the Yonaguni Monument, at least partially processed and altered by human hands. Professor Kimura pointed out a number of important elements that I have not seen during my first brief visit to .... "
Coolest underwater attractions. Click www.gofastek.com for more information. In the picturegraphs I see a fish a deer, a plant, a vase or battery and square with electricity on top, the pyramid with a saterlight on top and a pyramid with the saterlight putting out energy straight above it,a row boat a tug boat a ufo sitting on 4 legs, a cog wheel,the positive rectangular circle of light bending of space.